Or Barley Moon, for the ripening (ripened) crops. In my life, this moon is the Fall Jacket Moon, the Darkening Morning Dog-Walks Moon, the Flashlight in the Pocket Moon (for said am dog-walks), and the Alarm Clock in the Dark Moon. It is the First Frost Moon, the Birds Flocking Moon, the Geese V Moon, the Leaf Turning Moon, and the Fall Projects Moon. Beautiful and bitter-sweet seasonal signs this month – some of my favourites! 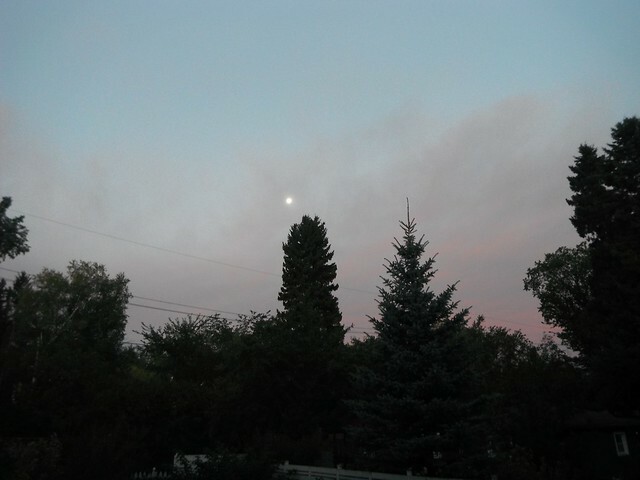 This entry was posted in autumn, nature fix and tagged full moon, moon, moon names on September 19, 2013 by misshermit.